Brewery Gulch in the mining city of Bisbee, Arizona, 1919. Source: Bisbee Mining & Historical Museum. 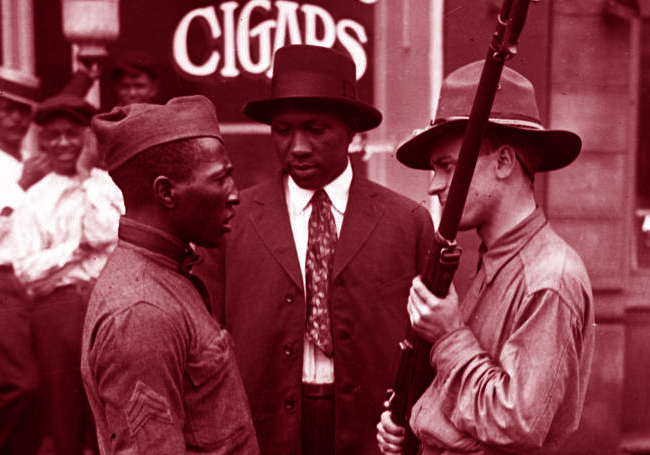 During 1919’s Red Summer, white mobs repeatedly targeted Black World War I veterans and servicemen. On July 3, 1919, active members of the Army’s segregated 10th Cavalry Regiment (“Buffalo Soldiers”) were in Bisbee, Arizona, to participate in the town’s Independence Day parade. 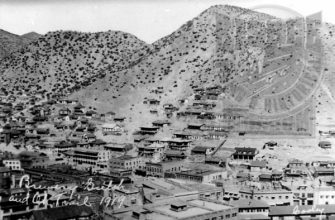 In the early 20th century, Bisbee was a mining town with a history of racial stratification and unrest. The white residents actively discriminated against Arizona’s Mexican, Chinese, and African American laboring communities. 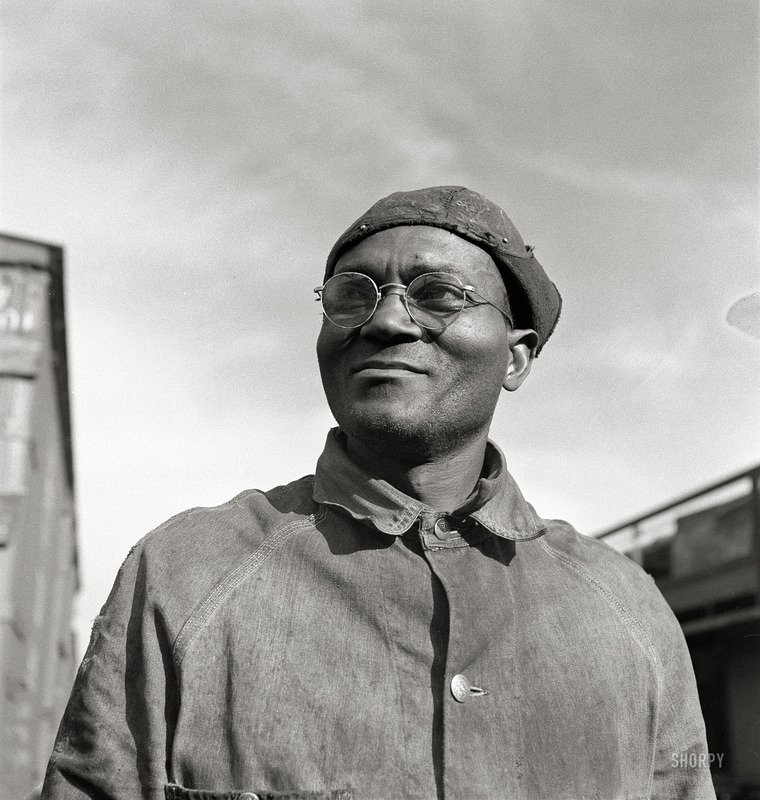 It was a “sundown town” for Chinese Americans and Black laborers had limited employment options. 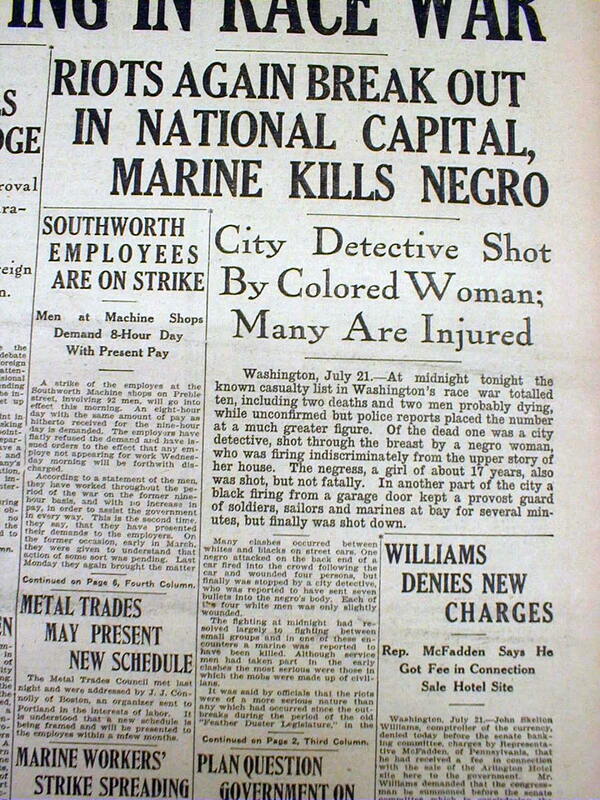 This aggravation led to large scale violence between Black soldiers and the local law enforcement who targeted them. The Chief of Police and his men began moving through town, systematically disarming Black soldiers by force. Hundreds of shots were fired at the cavalry men by the police officers and civilian white vigilantes. Not all of the Black servicemen had been disarmed and those men returned fire. 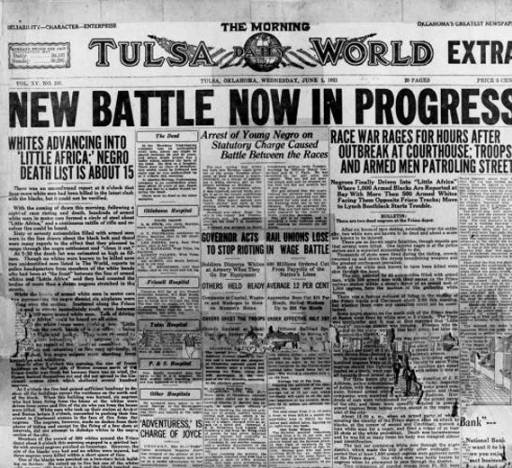 Some of them were wounded, but no one was killed, and the 10th Cavalry Regiment joined the Fourth of July parade the following day. See a newspaper clipping about the shootings, published on July 4 by the Bisbee Daily Review, a white newspaper. Book – Non-fiction. By James Loewen. 2005. 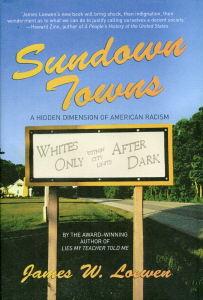 Documents the history of towns across the United States that exclude African Americans (and other racial/ethnic groups) after sundown. 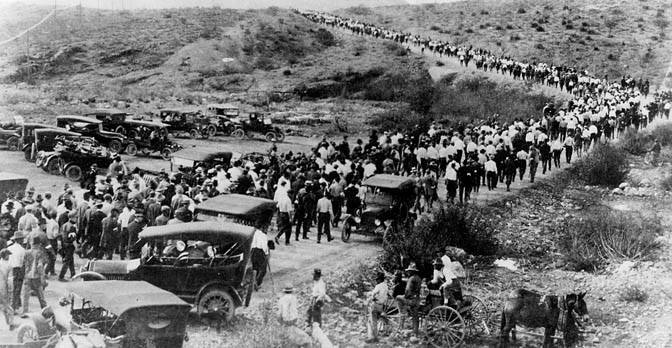 The Bisbee Deportation was the illegal deportation of about 1,300 striking mine workers (IWW-led strike), their supporters, and citizen bystanders by 2,000 vigilantes.